The concept of a marketing or sales funnel isn’t necessarily anything new, but as more business has moved online, the process of using a marketing funnel has become digital and a bit more formalized. Regardless of what industry you’re in, whether you’re selling products or services, or if your business has physical locations or operates strictly online, a digital marketing funnel to bring prospects through the buyer’s journey will benefit you significantly. If you’re not entirely familiar with the digital marketing funnel, imagine a kitchen or oil funnel. At the top of the funnel, where it’s widest, is where your prospects are finding out about you and just beginning to get familiar with your brand. As you move down the funnel, your prospects gain interest and decide if they like you and want to buy from you. At the bottom of the funnel, they’ve taken some sort of action like making a purchase. 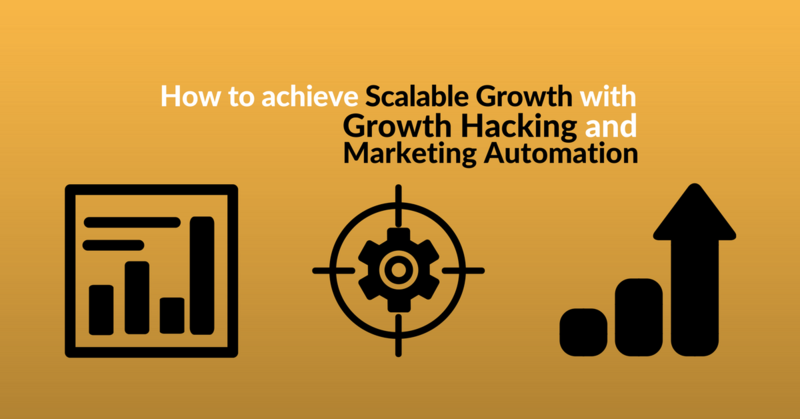 The key to successful digital marketing is automation. Trying to execute a digital marketing funnel manually isn’t necessarily sustainable. We’re going to walk through the buyer’s journey and look at ways we can automate each step of the process. The only way people will find out you exist is for you to begin creating brand awareness. There are a couple of ways you can create brand awareness at the top of the funnel (TOFU), but the most common and easiest to automate are social media and paid ads. You can automate both of these through tools that help you schedule social media posts and advertisements through platforms like Facebook, Pinterest and Instagram. Services such as Buffer , Hootsuite or Sprout Social allow you to schedule your social media posts to go out at the times and dates you choose ahead of time. You’ll spend a little time setting up your posts, and then forget about it for a while. For small businesses or solopreneurs just starting out, there are free versions available to help get up and running. Automate your advertisements within the social media platforms. Each platform has tools where you can select your budget, your audience, and your time frame, and the platform handles it from there. Set it and forget it. At this stage in the marketing funnel, we’re trying to convert prospects into subscribers. At the middle of the funnel (MOFU), one of the best ways to gain subscribers is by offering a lead magnet. This can be something like an eBook, newsletter, or guide. You want to be sure that it’s something that provides tremendous value in exchange for their email address. The reason that you want that email address is so that you can begin to communicate with them through email drip campaigns that you will automate through the use of an email service provider (ESP). Your goal at this stage is to begin to “hook” a prospect. This is when branding becomes the most critical. You’ll use compelling storytelling and consistent branded content to clearly communicate who you are and what you’re all about. At first, your drip campaign may send only one or two emails a week as your new prospect gets to know you. Automate your campaign with an ESP that handles the management of your email subscriber lists and makes it easier to segment and personalize tailored emails and content to their specific needs and interests. Having trouble converting prospects into subscribers? Learn the secrets to Generate Leads for your company more effectively! Get the FREE eBook! During the decision stage of the marketing funnel, you’re asking the prospect to make a decision about how they feel about your brand and your services or products. 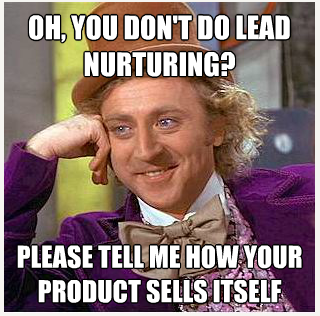 Get ready for leads to show interest, but also be prepared for a lot of leads to drop out of your funnel. Have testimonials ready to prove the worth of your product. Testimonials and case studies motivate people to take action because they can see themselves using the product. You can use testimonials, video or written, from people who can attest to the fact that you have in fact helped them in some way that delighted them. You can also use media publications that have been written about your business. In order to automate this stage, have some emails containing testimonials already in your email sequencing to send to prospects who reach this point in the funnel. You may also want to consider using paid ads in order to keep awareness high. In most cases, a lead makes a purchase at the bottom of the funnel (BOFU) or action stage of the funnel. In order to automate the final stage, be sure that you have clear call to action (CTA) buttons included in all of your marketing. Make what you want the prospect to do clear. This is important throughout each stage, but especially at the point where you’re intending for them to buy now. You can automate the action stage of the funnel by using separate landing pages for your products and services linked to the emails sent to your subscriber list. Landing pages can be created with marketing technology like LeadPages and Unbounce. Additionally, be sure that the purchase process is clear and simple. Tie purchases back to an automatic “thank you” email sent out through your ESP. Having a marketing funnel is one of the best ways to build a relationship with your prospects as you position yourself as an expert and bring them through the buyer’s journey. Automating the process is the best way to ensure that the work of email marketing is sustainable for your business. 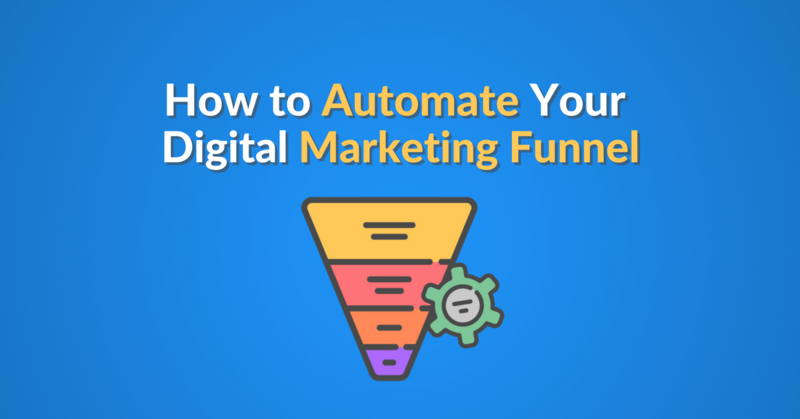 Automate the emails in your Digital Marketing Funnel with ease. Get started for free now! 4 Super Effective Drip Marketing Examples to Get You Started in Just 5 Minutes!